We just enjoyed a fantastic Christmas present: a day at Hong Kong Disneyland! While there, I was reminded that some aspects of the park are much better than the original Disneyland in California. Hey, look! Mary Poppins and Bert! I’ll leave it to the sociologists to figure out why, but the primary goal of most Chinese tourists seems to be to MEET CHARACTERS. 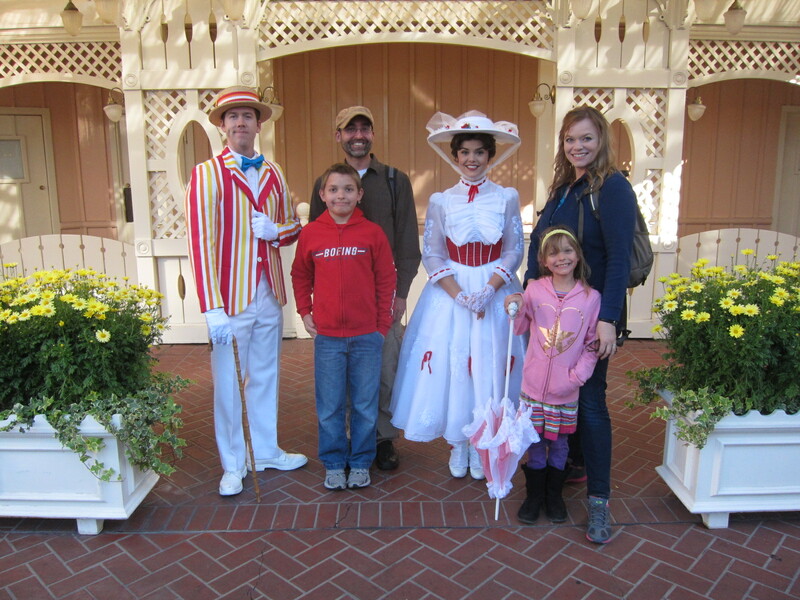 Now, I get just as excited as the next person when Mary Poppins and Bert take a picture with me, but it’s not a top priority. We’re there for the rides. 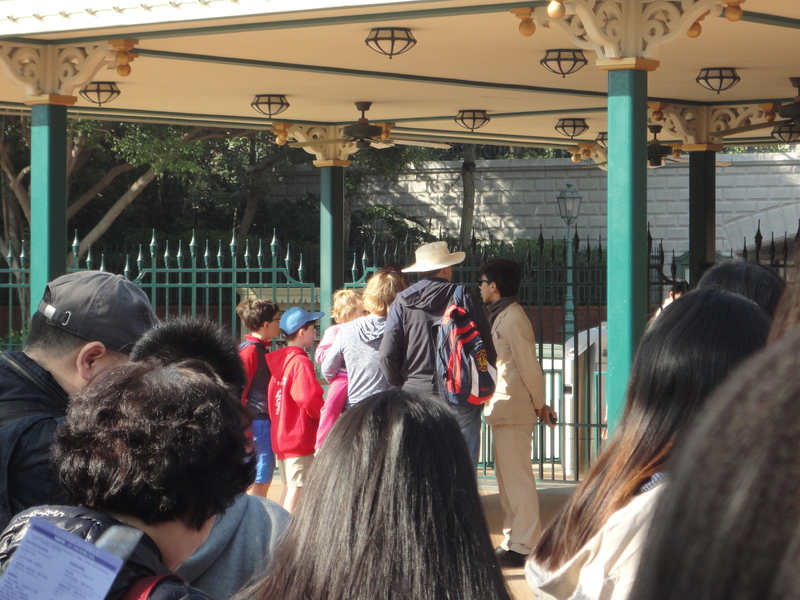 That makes Hong Kong Disneyland a paradise for us, because even when the park is crowded, the longest lines are for princesses and chipmunks, not for rides and coasters. 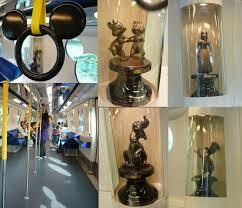 I remember being floored the first time we went to Hong Kong Disneyland. Buzz Lightyear Astro Blasters had just opened. I braced myself for crazy-long lines, like you’d expect for a new attraction in the States. But there was no line. At all. Run through empty queue area, get on ride, defeat Zurg, rinse, repeat. On this trip, history repeated itself (in a good way). The park opened, and immediately, there was a long line to meet Mickey and Minnie. 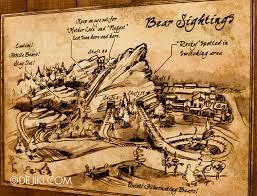 Meanwhile, here was the queue for the roller coaster in Grizzly Gulch. Later in the afternoon, the line had swelled…to a 15 minute wait. So, what’s a “Fast Pass” again? It’s a good thing the lines are so short because HKD has some really good rides. Big Grizzly Mountain Runaway Mine Cars, the roller coaster mentioned above, features an “explosion” that shoots the coaster forward using a linear induction motor. Geek party! There’s also a pretty cool feature that my kids don’t want me to tell you about for fear it will ruin the surprise. * And this thing is smooth. You’re banking around curves like butter on a steamin’ biscuit. Good stuff. It’s not so tame-looking in real life. I think the Jungle Cruise in the U.S. is a hoot. It’s so nice to sit back and enjoy the cheesiness of the awful jokes and fakey animals. It’s a classic. Even classics can be improved, though. Have you ever noticed how the Jungle Cruise is sorely lacking REAL FIRE? Me too. At HKD, somewhere past the rhinos, you stop next to some rock formations. Suddenly, the water around your boat is boiling, and a volcano erupts with FIRE. Real and actual. You’re close enough that you can feel the heat, the water’s going crazy, the boat fills with smoke, and everyone’s screaming. Yup, that certainly livens things up. This way to Mystic Manor, if you please. Haunted Mansion is also a total cheese classic, especially if you are stuck in line and get to read all the headstone messages. So, I was pretty happy to hear that HKD had built something like the Haunted Mansion, called Mystic Manor. In reality, Mystic Manor is more like Haunted Mansion meets Sorcerer’s Apprentice, meets Abu, meets a Danny Elfman soundtrack (no, seriously, he did the music), minus the ghosts. You can read the story to find out more, but the ride is just a lot of fun. 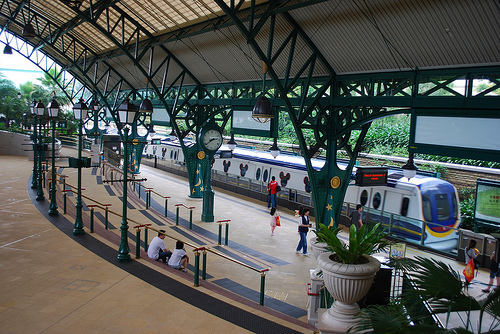 The carriages are trackless and use RFID technology and WiFi for guidance. Geek party: the sequel! You get fired at, have scarab beetles scamper on you, and supposedly, each time you ride it, you’ll take a slightly different path. It was easy to see why Mystic Manor won an Award for Outstanding Achievement from the Themed Entertainment Association. I won’t be shocked if they make a Mystic Manor movie someday. Let’s hope it also outrocks the Haunted Mansion movie. 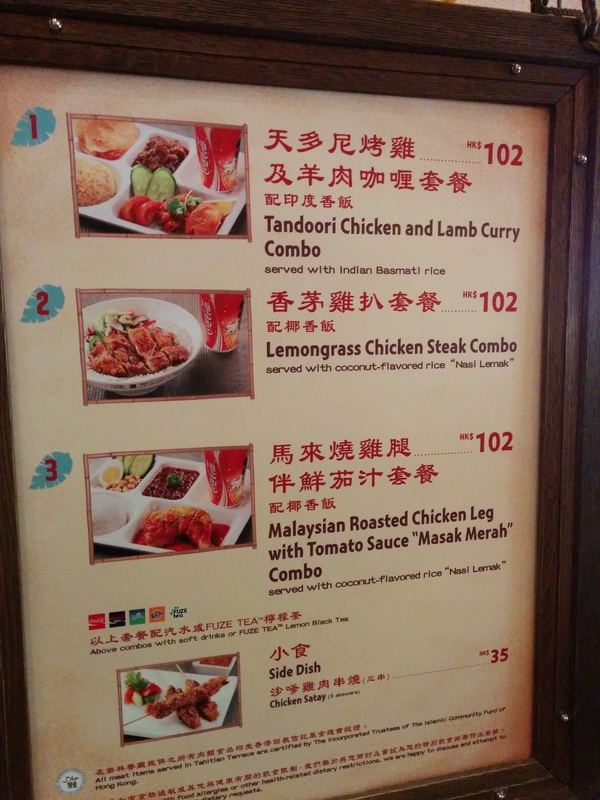 In particular, our family loved the Indian meals at the Tahitian Terrace. We were fighting over the last of the dhal and naan. It’s not the best Indian food in the world, but it beat the burgers. Alright, this is one of those things that I kind of wish wasn’t true, but here it is. 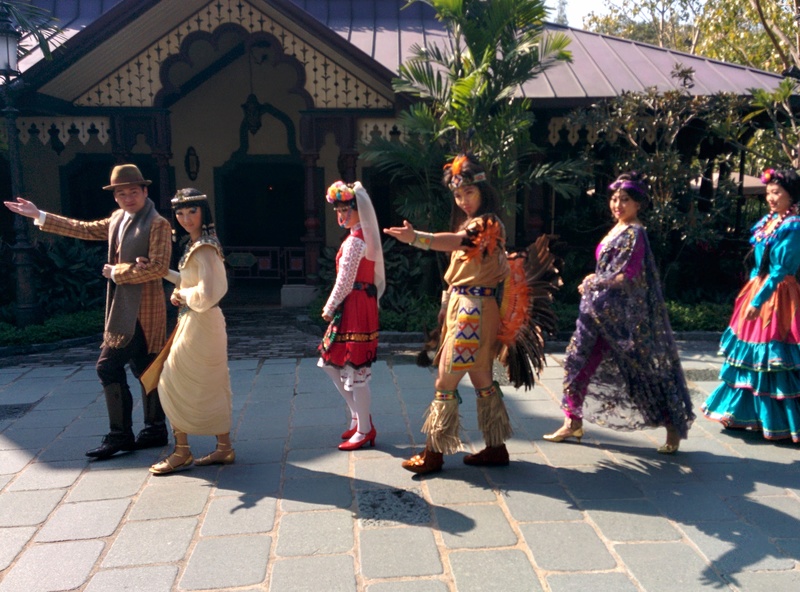 The fact is, the vast majority of guests at HKD are Asian. Most are from mainland China and Hong Kong, but even with some other Asian nationalities thrown in, it’s still an ocean of black hair. Which means we stand out. A lot. Laowai about to open the park, surrounded by Asians. 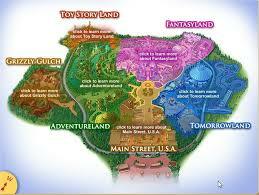 Which may or may not explain why we were chosen to open the park on one of our visits several years ago. And why another white family was chosen on this visit to open the park. This is also not scientifically provable, but we seem to get a little more attention from English-speaking “face” actors who’ve been specially imported to play a certain role. I think they are just excited (maybe relieved?) to actually be able to have a conversation with us, even if it’s just discussing which princess is our favorite. That has meant a little extra time with princesses, getting selected to help sing Christmas carols, more stickers for our kids, and a long conversation with Captain Jack Sparrow. Extra magic for being anomalies? We’ll take it. 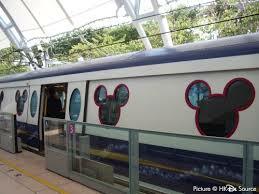 Let’s take a look at the Disneyland Resort Line MTR train that carries guests to Hong Kong Disneyland. What’s inside? 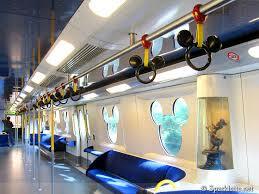 How about Mickey handles, plush seats and character statuettes in every car? Now for contestant #2 in California, ART. Folks, I think we have a winner. Most of the time, HKD is only open from 9:30 a.m. until the fireworks at 8:30 p.m. For anyone used to crazy-long hours full of loads to do at the Magic Kingdom and California Adventure, with eating and shopping at Downtown Disney before and after, this is going to seem…lame. But guess what? It means that you have no option but to have a shorter, more reasonable day. This is especially important if you’ve got little kids. It is much more pleasant to be leaving the hotel at 8:30 a.m instead of waking the troops at 6 to elbow through the crowd in the hotel lobby fighting for the same waffle machine so you can get a jumpstart on the crowds for the 8 am opening. Then, at the end of the day, you’re heading home at a reasonable time versus pushing everyone to stay awake and cheery ’til midnight. The smaller selection of shows and rides means you can basically do everything you want to without having to race around squeezing in “one more thing” before the toddler melts down. Along with a smaller park and shorter hours comes a smaller price tag. 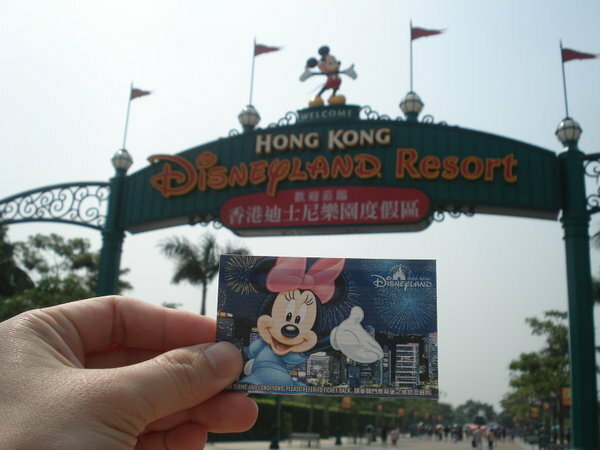 Adults are about US$65 (HK$499) and children are $45 (HK$355) for a one-day ticket to Hong Kong Disneyland, compared to $96 and $90 respectively in Anaheim. Kids also enjoy the child price a full two years longer in Hong Kong (ages 3-11 versus ages 3-9). And if you’re 65 or better, you’re in for a real treat: your admission will only set you back $12 (HK$100). I’ve never been so eager to get old. 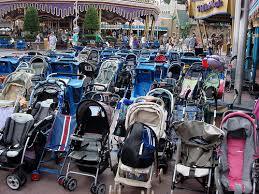 The last time I was at Disneyland in Anaheim, the stroller parking areas were unbelievable, which I guess makes sense – of course you’re going to take your littles to Disney. As with everywhere else in ‘Murica, the number of motorized wheelchair/carts/rascals at the park has also increased significantly in recent years. By contrast, here’s the stroller parking area for Autopia at HKD, which is one of the most popular rides to take kids on in the entire park. I think I can only remember seeing two wheelchairs the entire day, neither of them the motorized variety. The lower wheel count made it easier to maneuver through the park, especially in crowded areas. There you have it, friends. Of course, Hong Kong Disneyland has some downsides as well, but overall, we think HKD is a pretty great park. Here’s hoping you get the chance to experience it yourself soon! * If getting a surprise in the middle of a roller coaster ride is not your idea of fun, let me give you the spoiler: it goes backwards. Nay, it plummets backwards. Down a hill. Very fun if you’re expecting it. Panic and terror if you’re not.